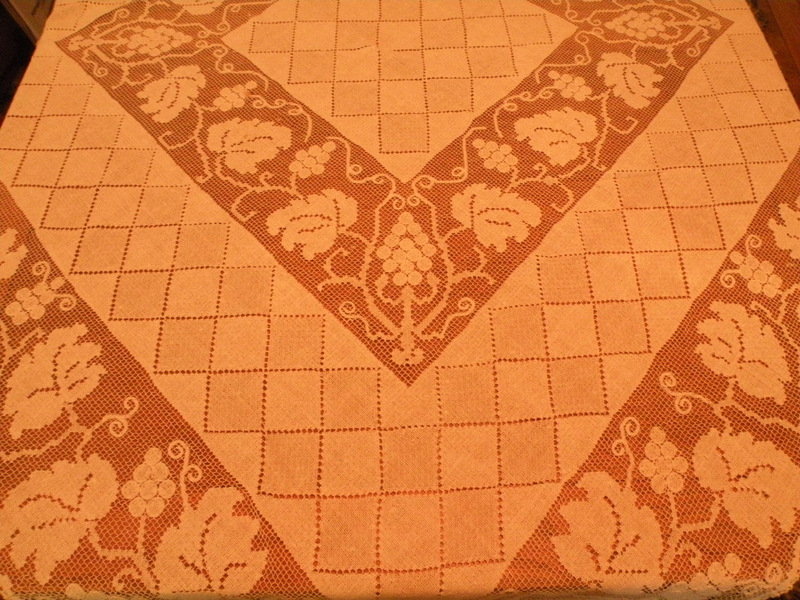 Vintage Textiles at . . . Goodwill???!!! I think it’s natural when you’re a fiber artist to be a huge fan of textiles of all types . 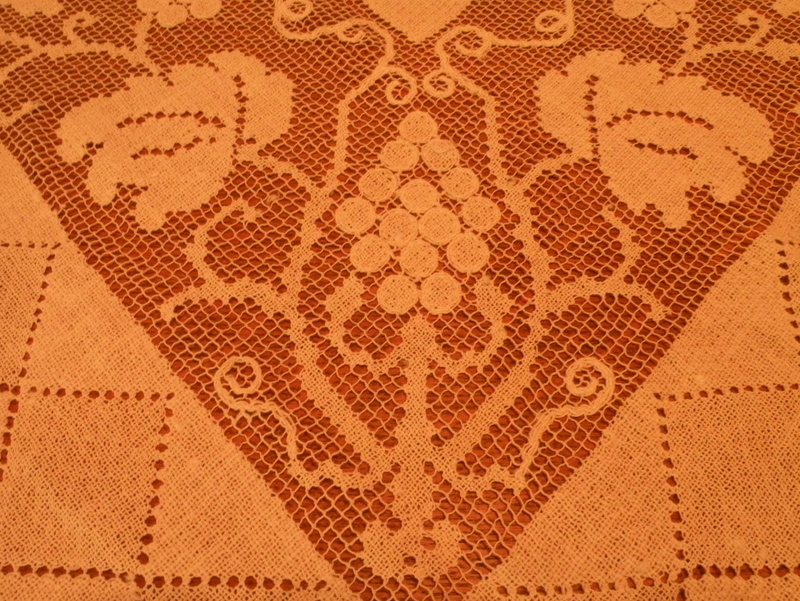 . . especially vintage textiles. It seems no matter where I go, I natural migrate in the direction of textiles. I find the details inspiring . . . and envision scenarios that went into the making of many items. One of my favorite sources of vintage textiles is my local Goodwill. It’s not too far from my home and I occasionally drop in to see what they may have in store . . . and more often than not, I find a treasure that readily follows me home. The majority of the textiles cost $4-$6 and they are frequentlydirty and stained. I suppose many people with these textiles don’t have the time or want to bother with the washing and pressing of these treasures. 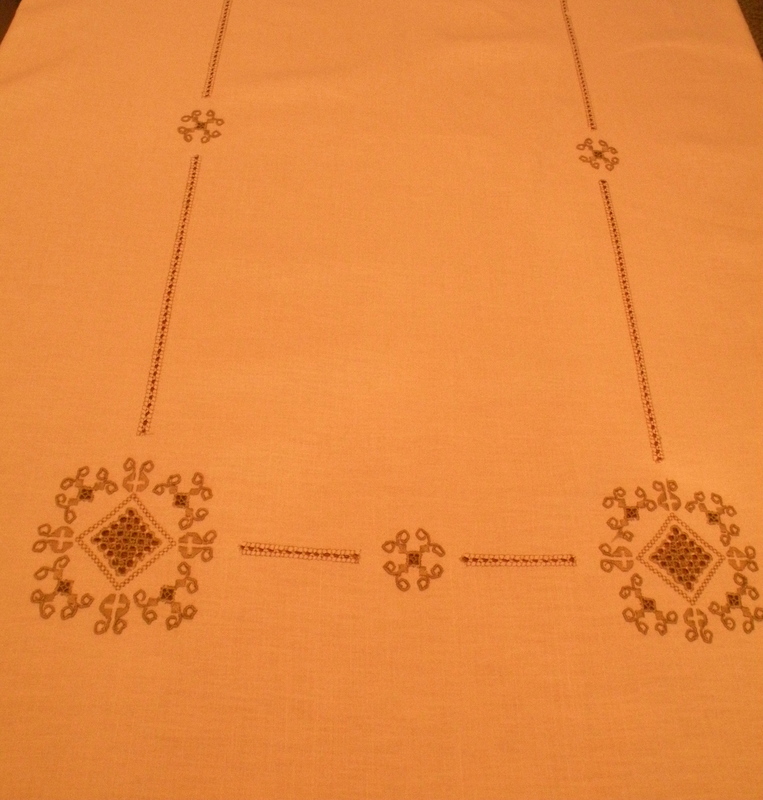 One of my favorite finds was a brilliant white heavy damask tablecloth . . . the fabric was beautiful . . . and shortly after I got it home I noticed the “Waterford” label sewn into the hem on the underside. Not bad for $5.99! As soon as I get them home, I immediately start to work on restoring it to its original beauty. I usually start off tackling spots and stains with mild solutions in order to avoid damaging the textile further. Bleach is a last resort. One product that I have found especially useful is “Folex”. It’s advertised as an “instant carpet spot remover” and sold in many grocery stores. Another weaver, Bonnie Tarses, got me turned on to this product nearly 10 years ago . . . and boy, does it work well! Even if I can’t get all of the stains out or if the textile has a damaged area or two and the holes are not worth fixing, I can still use the textile in a future piece of wearable art as a panel or accent fabric. No matter how badly the textile has been damaged or stained, I can always envision a use for it. Here are some pictures of two of my recent finds . . . Yes, they appeared stained beyond rescue . 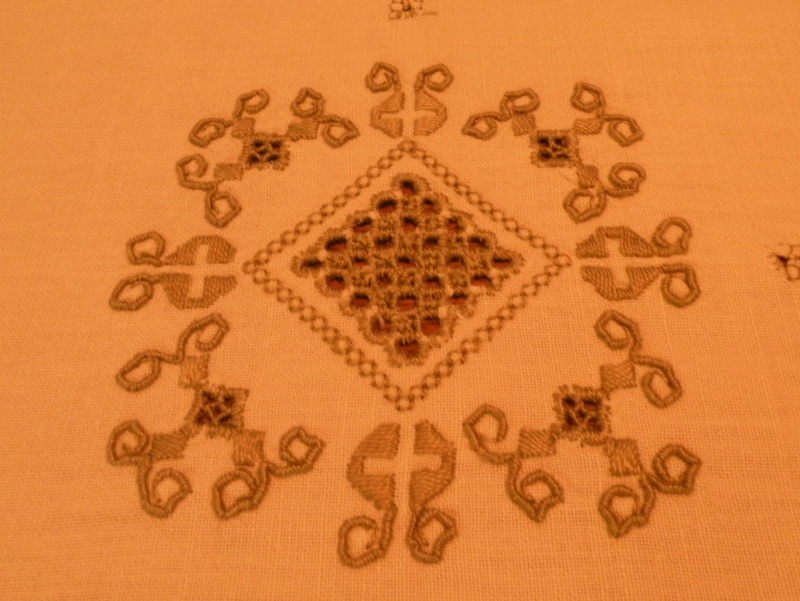 . . but, I’m tenacious and I was able to breathe life back into these textiles . . . I only wish there was a way of letting the person that created these items that the craftsmanship is appreciated and the beauty is being shared with anyone that comes into my home. Check out your local Goodwill or other thrift store . . . There may be a treasure just waiting to follow you home!